Unless otherwise informed that we are in the state of "SILLY", I will assume that it is the tech level of the planet launching a sector probe that helps govern success or failure. But no, the hits don't stop!! Another question from random neurons going off. worlds using action code 67.
sell to a colony using action code 68. Now I tend to be obsessive compulsive about wording, so the possibility that the wording suggest to me is you while you can only buy and sell to YOUR terraformed world, you can buy and sell to any colony world even if it isn't yours. Sooo...can you buy and sell to any colony world? Or did someone back in the dawn of time need to have taken fewer computer courses and more writing courses? NOTE: I assume Trader Corps have powers mere mortals are denied. I am asking as a ICB. I was under the impression that only Trade Companies can buy and sell from other planets. Most others use ACs 67-70 to buy and sell to your own planets. Smugglers and Pirates can sell to Pirate Havens. Tregonsee wrote: I was under the impression that only Trade Companies can buy and sell from other planets. Most others use ACs 67-70 to buy and sell to your own planets. Smugglers and Pirates can sell to Pirate Havens. I was under the same impression until I reread the tech sheet and realized it doesn't specially state that you can only buy/sell to YOUR colonies. Now the programming may not allow you, but the rules in the tech sheet doesn't state that. Too bad I don't have enough actions now to do everything I want so wasting a few in experiments is not in the cards at this time. When doing Ancient Civilization scans, would a heavy scout built at a TL50 shipyard and a rift scout cruiser built at the same TL50 shipyard both be equally effective? 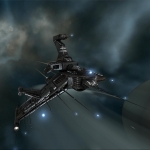 OR would the rift scout cruiser be MORE effective? Asking because of the vast difference in price to build and the dangers of travelling unexplored subsectors enroute to known ACs. IF a heavy scout will be as effective at the AC scans then rather lose a 300RU ships as oppose to a 3000RU ship if the fleet happens to trip over a rift. I'd build the Heavy Scout, it's a good sturdy ship. When scanning an AC it really doesn't matter what ship you use. Any ship with scanning capabilities will work equally effective. What is the pop limit for a gas giant?